Welcome to Teacher Talk, where our authors 'talk' early literacy with teachers. You'll find practical classroom strategies and tips from real educators, as well as personal stories and innovative approaches to improving your teaching practice. 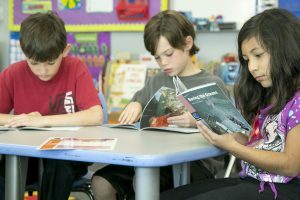 What Guided Reading Practices Contribute to Fluency? Building fluency during guided reading is essential for developing readers. Fluency is often defined by reading rate, but also includes pausing, phrasing, stress, and intonation, all of which are related to meaning. 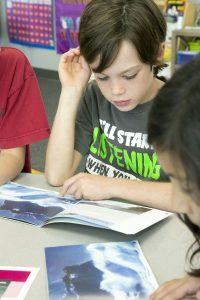 There are several ways fluency is built during guided reading. 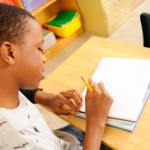 There are several ways in which activities that extend guided reading increase the powerful learning that comes through guided reading instruction. First, the very best activity to extend guided reading into independent work is to make the book available to students to read after the small group instruction has concluded. As students revisit the book on their own or with a partner, they solidify the learning that was coached in guided reading. With this kind of guided reading extension, they orchestrate things they might not have had quite under control during the lesson. 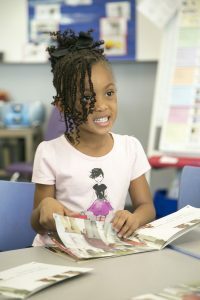 For example, when an early emergent student reading at Levels A-B rereads a text, they practice the important integration of cueing systems as they look from the illustrations to the words, match their fingers to the words being read aloud and then consider each word for how it matches what they know the pattern to say. Guided reading and balanced literacy are big ideas in literacy instruction today. The function of different approaches in a balanced curriculum offers teachers opportunities to illustrate literacy for learners along a continuum of gradual release of responsibility. Reading to, with, and by children and teachers gives comparative amounts of support and responsibility throughout the instructional day, and over time, as students grow as readers and writers (Margaret Mooney, 1990). 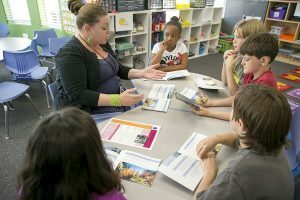 Grouping students for guided reading first requires that teachers ‘know their students.’ Teachers assess their students, using the tools they know—letter/sound checks, a fluency passage, a benchmarking kit. Yet somehow, when teachers put the students together, the grouping just doesn’t seem to be quite ‘right.’ Something is missing—and the missing piece is teacher observation. Teacher observation is key in grouping students for guided reading. Building literacy with paired texts is an exciting concept in guided reading instruction. 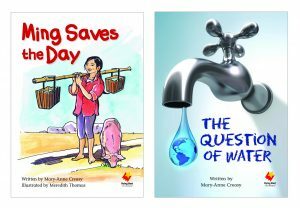 Through intentional pairing of texts, teachers present students with opportunities to develop literacy in considerable ways. There’s no way around it—when selecting leveled books for guided reading instruction, sooner or later you’re going to have to consider levels. For some teachers, leveled books can create a false sense of security, as if the top of the scale is equivalent to a high-stakes test. For others, it leads to distrust in their own judgement about what books to use with their students. Understanding how leveled texts are created can help teachers use leveled books more securely and authentically during guided reading instruction. All writers will at some stage have difficulty getting started writing. Skilled writers, as well as young students who are learning to write, can develop “writer’s block”. Writer Kerrie Shanahan explores how teachers can help their students overcome this frustrating problem and get ready to write. She includes quick tips for students to avoid “writer’s block”. 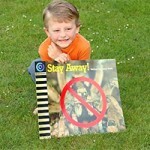 Every child should have the opportunity to read accurately. Susan Hill draws our attention to an article in which the authors list this as one of the six elements of reading instruction that every child should experience every day. Susan notes that it is exhausting for struggling readers to always be reading too-challenging texts and provides a link for you to read this worthwhile article.